Europe relies on reliable and robust knowledge on materials stocks and flows to promote innovation along the entire value chain of raw materials. The EU criticality assessment examines, every three years, issues of supply risk and economic importance of a number of non-food and non-energy candidate materials from the perspective of the European Union. The most recent criticality assessment was published in 20171. The data collected during this assessment provide a good basis for further visualizations of material supply chains and structuring additional information in the form of material and country factsheets in the EU’s Raw Materials Information System (RMIS). 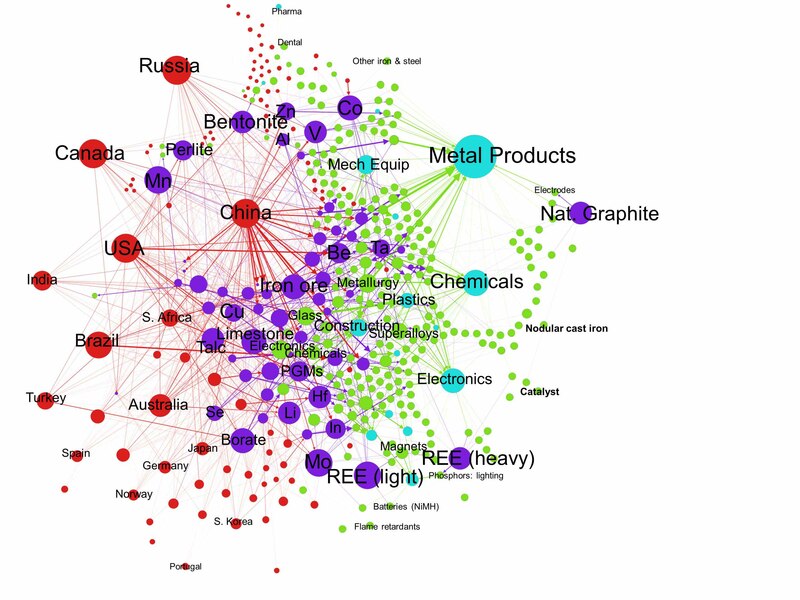 This study uses the existing datasets from the 2017 EU criticality assessment to visualize 74 material supply chains and shows interconnections between them. Firstly, the data sets are rearranged into a simple graph with nodes representing the countries, materials, product applications, and sectors involved in materials supply and use. The weighted edges (links) represent relationships between them, i.e., the production of materials by countries and the flow of materials into product applications and subsequent economic sectors. Secondly, because mapping the critical raw materials data considers the links between countries, materials, product applications, and sectors, the resulting graphs can also be analysed using network statistics (based on their connectivity). For this, degree centrality (a count of the number of incoming or outgoing links of a node) is used to highlight more interconnected nodes (“key actors”) in the supply and use of materials. This allows, e.g., detection of countries providing a large number of different (raw) materials4, materials finding widespread downstream uses, or product applications relying on a large number of materials. Results show that arranging data according to the proposed data structure provides a simple, yet powerful, tool to map supply chains for 74 materials with only minor adjustments to the existing data sets necessary. The resulting graphs can be readily integrated into the RMIS to provide users with insights into the origin (countries) of materials and their downstream flows into product applications and economic sectors. Furthermore, overlaying multiple material supply chains with each other allows the visualization of interconnections between materials supply chains and to view the network from the perspective of individual nodes (e.g., a sector). This entry was posted in Papers on 13. June 2018 by philipnuss. Europe relies on reliable and robust knowledge on materials stocks and flows to promote innovation along the entire value chain of raw materials. The concept of the circular economy, recently adopted by the European Commission, aims at maintaining the value of products, materials, and resources in the economy for as long as possible, and minimize waste generation. One of the prerequisites for better monitoring materials use across the whole life-cycle is a good understanding of material stocks and flows. The goal of this report is thus to show how readily available statistical information can be used to generate a Sankey diagram of material flows and their circularity in the 28 member states of the European Union (EU-28). Despite several data challenges, it is possible to develop a visual representation of material flows and their level of circularity in the EU-28 as well as for individual member states for the period 2004 to 2014 (with future updates possible as new statistical data sets become available). The focus is on non-energy and non-food materials in line with the European Innovation Partnership on Raw Materials (EIP-RM). This includes material flows used for their material quality including, e.g., metals, construction minerals, industrial minerals, and biomass like timber for constructions or fibres for paper or textiles. Materials used for their energy content like fossil fuels, fuel wood, feed or food are excluded. A combination of regularly available data sources including economy-wide material flow accounts (EW-MFA) and EU waste statistics are used to generate a Sankey diagram showing the flows and net additions to stocks of four major material categories (metals, construction minerals, industrial minerals, and biomass (timber and products from biomass)). In 2014, the turnover of non-energy and non-food materials in the EU economy is found at 4.8 Gt (direct material input + recycling and backfilling). Recycled materials make up around 0.7 Gt (15%) of all materials used in the EU-28 in 2014. Socioeconomic stocks are growing in the EU-28 at about 2.2 to 3.4 Gt each year (net additions to stocks during the period from 2004 to 2014). For example, in 2014 around 51% (2.3/4.5 Gt) of all non-energy and non-food materials used domestically within the EU were added to stocks. Stock accumulation limits the potential for current recovery because material stocks are not immediately available for recycling (but will become available in the future when products providing useful services to the EU economy reach their end-of-life). In 2014, total waste generated from non-energy and non-food materials use in the EU-28 amounted to 2.2 Gt. Some 1.9 Gt of this waste was treated in the EU-28. The largest share of this waste (about 41%) was subject to landfilling operations. About 33% of the waste treated in the EU-28 in 2014 was sent to recycling operations (recovery other than energy recovery and backfilling) and 10% was used in backfilling. The EU is largely self-sufficient for construction minerals and industrial minerals, somewhat import dependent for biomass (for materials purposes), but highly import-dependent for metals. Sankey diagrams for eight individual member states including Austria, Belgium, Czech Republic, Finland, Spain, France, Germany, and Italy are generated and compared with each other. Overall material throughput is highest for Germany, France, and Italy. Belgium’s economy depends on imports of a large number of raw materials, while several other EU countries domestically produce construction minerals and industrial minerals. Metals are imported by all member states although some EU countries (e.g., Finland) also have limited metal mining activities. In the eight EU member states examined, recycling and backfilling ranges between 11% and 68% at end-of-life (output side) and 6% and 27% when compared to overall material inputs (input side). Germany is used as a case study to show how the proposed visualization framework can be used to generate member state Sankey diagrams for multiple years. Further research is needed to confirm these findings, fill in data gaps (e.g., trade in waste products), and better estimate selected flow parameters. However, the proposed assessment and visualization do provide a reasonable first picture of raw material uses and their flow magnitudes (by major material categories) in Europe, and how these evolve over time. 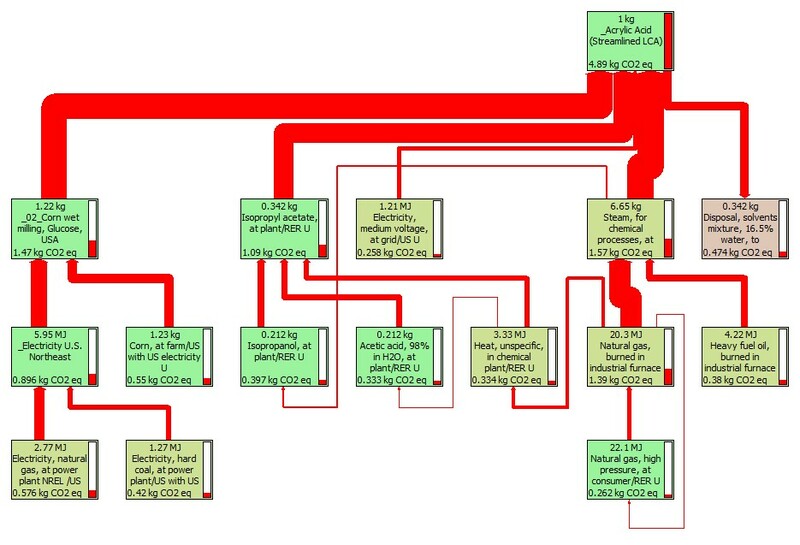 The resulting Sankey diagrams will feed into the EC’s Raw Material Information System’s (RMIS) MFA module (currently in development) to better visualize related material flows for the EU and at individual country level. The level of circularity can be measured considering different groups of raw materials. Because for materials used for energy purposes materials recovery is mostly not possible, we recommend including resource categories including fossil energy materials and biomass for food and energy purposes in future studies to obtain a more holistic picture of raw materials use in the EU. The background report with the revised methodology is available from the EU bookshop. One gigaton (Gt) is equal to 1,000,000,000 metric tons. This entry was posted in Papers on 12. November 2017 by philipnuss. Raw materials form the basis of Europe’s economy to ensure jobs and competitiveness, and they are essential for maintaining and improving quality of life. Although all raw materials are important, some of them are of more concern than others, thus the list of critical raw materials (CRMs) for the EU, and the underlying European Commission (EC) criticality assessment methodology, are key instruments in the context of the EU raw materials policy. For the next update of the CRMs list in 2017, the EC is considering to apply the overall methodology already used in 2011 and 2014, but with some modifications. Keeping the same methodological approach is a deliberate choice in order to prioritise the comparability with the previous two exercises, effectively monitor trends, and maintain the highest possible policy relevance. As the EC’s in-house science service, the Directorate General Joint Research Centre (DG JRC) identified aspects of the EU criticality methodology that could be adapted to better address the needs and expectations of the resulting CRMs list to identify and monitor critical raw materials in the EU. The goal of this paper is to discuss the specific elements of the EC criticality methodology that were adapted by DG JRC, highlight their novelty and/or potential outcomes, and discuss them in the context of criticality assessment methodologies available internationally. The full publication is available open access from Resources Policy. The 2017 EU Critical Raw Materials List is available from the DG GROWTH website. This entry was posted in Papers on 30. September 2017 by philipnuss. The characterization of elemental cycles has a rich history in biogeochemistry. Well known examples include the global carbon cycle, or the cycles of the ‘grand nutrients’ nitrogen, phosphorus, and sulfur. More recently, efforts have increased to better understand the natural cycling of technology critical elements (TCEs), i.e. elements with a high supply risk and economic importance in the EU. On the other hand, tools such as material-flow analysis (MFA) can help to understand how substances and goods are transported and accumulated in man-made technological systems (‘anthroposphere’). However, to date both biogeochemical cycles and MFA studies suffer from narrow system boundaries, failing to fully illustrate relative anthropogenic and natural flow magnitude and the degree to which human activity has perturbed the natural cycling of elements. We discuss important interconnections between natural and anthropogenic cycles and relevant EU raw material dossiers. Increased integration of both cycles could help to better capture the transport and fate of elements in nature including their environmental/human health impacts, highlight potential future material stocks in the anthroposphere (in-use stocks) and in nature (e.g., in soils, tailings, or mining wastes), and estimate anticipated emissions of TCEs to nature in the future (based on dynamic stock modeling). A preliminary assessment of natural versus anthropogenic element fluxes indicates that anthropogenic fluxes induced by the EU-28 of palladium, platinum, and antimony (as a result of materials uses) might be greater than the respective global natural fluxes. Increased combination of MFA and natural cycle data at EU level could help to derive more complete material cycles and initiate a discussion between the research communities of biogeochemists and material flow analysts to more holistically address the issues of sustainable resource management. The full publication is available open access from Science of the Total Environment. Modern technology makes use of a variety of materials to allow for its proper functioning. 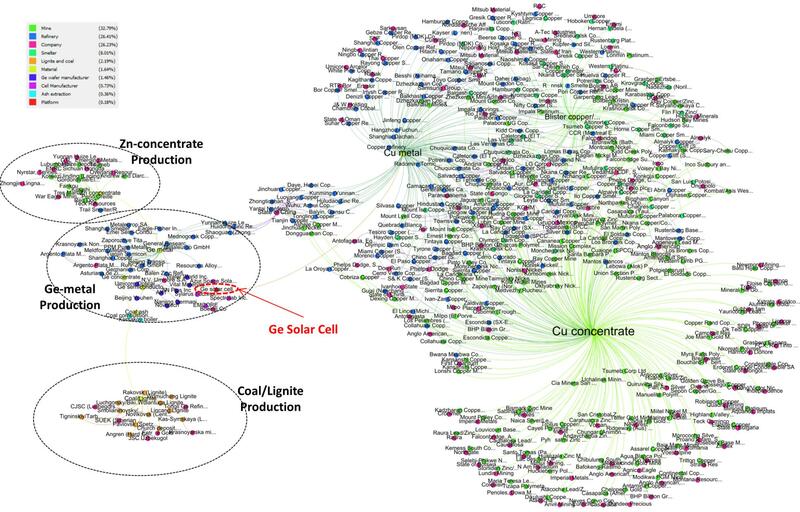 To explore in detail the relationships connecting materials to the products that require them, we map supply chains for five product platforms (a cadmium telluride solar cell, a germanium solar cell, a turbine blade, a lead acid battery, and a hard drive (HD) magnet) using a data ontology that specifies the supply chain actors (nodes) and linkages (e.g., material exchange and contractual relationships) among them. We then propose a set of network indicators (product complexity, producer diversity, supply chain length, and potential bottlenecks) to assess the situation for each platform in the overall supply chain networks. Among the results of interest are the following: (1) the turbine blade displays a high product complexity, defined by the material linkages to the platform; (2) the germanium solar cell is produced by only a few manufacturers globally and requires more physical transformation steps than do the other project platforms; (3) including production quantity and sourcing countries in the assessment shows that a large portion of nodes of the supply chain of the hard-drive magnet are located in potentially unreliable countries. 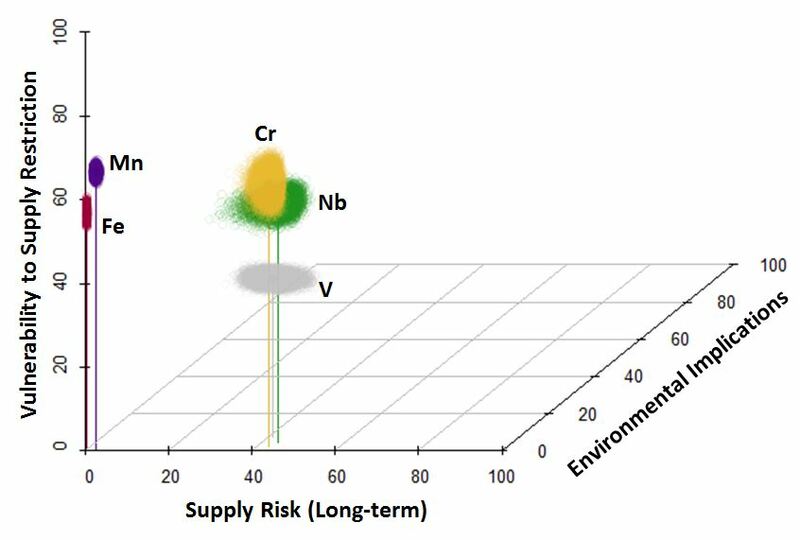 We conclude by discussing how the network analysis of supply chains could be combined with criticality and scenario analyses of abiotic raw materials to comprise a comprehensive picture of product platform risk. The full publication is available open access from Sustainable Materials and Technologies. This entry was posted in Papers on 5. November 2016 by philipnuss. Thanatia: The Destiny of the Earth’s Mineral Resources: A Thermodynamic Cradle-to-Cradle Assessment by Antonio Valero Capilla and Alicia Valero Delgado. 2014. ISBN: 978-981-4273-93-0. 672pp. World Scientific Publishing Company: Hackensack, NJ, USA. $158.00 (hardcover). Antonio Valero Capilla and Alicia Valero Delgado are both well-known authors in the area of thermoeconomics – a school of heterodox economics that makes use of the laws of thermodynamics to account for the cost of natural resource use in the form of energy, entropy, or exergy, and helps to point out irreversibilities in production systems. Their latest book centers on a simple but important concept: ‘Exergy replacement cost’ as the exergy required given currently available technology to return a mineral resource from a completely dispersed state, termed “Thanatia”, to the physical and chemical conditions currently present in nature. Exergy originates from the second law of thermodynamics and is defined as the “maximum work that can be obtained from a system when it reaches equilibrium with a reference environment (R.E.)”. The concept of replacement cost (or thermodynamic rarity) attempts to highlight the exergy bonus of today’s naturally-occurring mineral deposits and how much it would cost society (in exergy terms) to restore minerals back to their original state in nature (at typical ore grades in today’s mineral deposits). This helps to incorporate a “grave-to-cradle” perspective into mineral resource assessments. 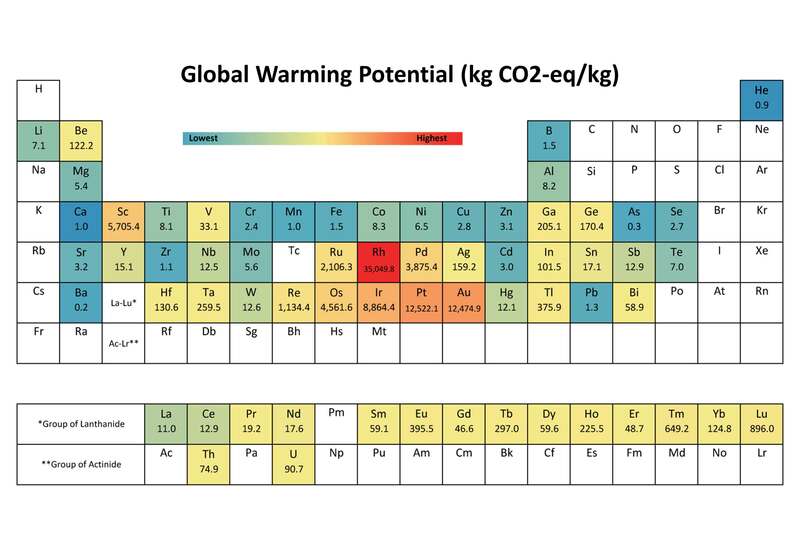 Today’s societies with their concentration of modern technologies, low-carbon transportation and renewable energy systems, demand enormous quantities of base metals (e.g., iron, copper, aluminum) as well as nearly all of the minor or scarce metals of the Periodic Table of the Elements in order to ensure proper functioning and performance (Greenfield and Graedel 2013; Graedel and Erdmann 2012). As a result, the issue of resource scarcity and criticality has gained substantial interest in recent years (Graedel et al. 2015; EC 2014, 2010; IW Consult 2011; BGS 2012; Morley and Eatherley 2008). There is also an ongoing discussion in the area of life-cycle assessment (LCA) as to how mineral resources should be evaluated in the life-cycle impact assessment (LCIA) stage (Klinglmair et al. 2013; Mancini et al. 2013; Vadenbo et al. 2014). The use of thermodynamic indicators has so far played only a minor role in the evaluation of mineral resources. With regard to exergy, the analysis is often time-consuming and difficult to understand, and establishing a proper R.E. (Szargut 1989) for exergy evaluations of mineral resources can be difficult (Gößling-Reisemann 2008). Furthermore, when compared to fossil fuels, non-fuel minerals consistently have lower exergy values resulting in wrong conclusions with regard to their value in the system analyzed (Gößling-Reisemann 2008; Valero and Valero 2015). The book authors propose to overcome these challenges by defining Thanatia (from the Greek word θάνατος “death”) as a possible baseline environment to which currently existing mineral deposits can be compared. Thanatia is seen as a possible end to the “Anthropocene” period (Crutzen 2006) in which all concentrated materials have been extracted and dispersed throughout the crust and all fossil fuels have been combusted (Valero et al. 2011a, 2011b). The total mineral exergy of a mineral substance is then calculated as the sum of chemical exergy, concentration exergy, and comminution exergy. Only chemical exergy is calculated relative to the R.E., while both concentration and comminution exergies use Thanatia as a baseline. In contrast to traditional exergy analysis (which typically only look at one chemical substance per chemical element in the R.E. and do not account for their concentration), the approach proposed by Valero and Valero incorporates the typical mineral concentrations of a mine (i.e., today’s ore deposits provided by nature) and that of the average concentration in the Earth’s crust (i.e., Thanatia). This allows quantification of the ‘hidden’ exergy cost associated with decreasing the concentrated state of minerals in natural deposits though extraction, production, manufacture, use, and ultimate dispersion (e.g., via dissipation or landfilling). It sends a warning message that not every mineral that is being dispersed may be replaceable (because of high exergy replacement costs). The book by Valero and Valero provides a thorough summary of the authors’ pioneering work over several years[i] using exergy as a measure in resource evaluations (Valero and Valero 2013, 2015). The reader will be impressed by the breadth of the book, discussing in great detail the need for incorporating thermodynamics into resource evaluations, their idea of defining an alternative baseline environment (the Crepuscular Earth Model or Thanatia), and a thorough summary of data sources and assumptions made to obtain the energy replacement cost of important industrial minerals. Thanatia has 17 chapters – each with a brief summary at the end. The first four chapters provide justification for using exergy-based analysis in resource evaluations and explain basic thermodynamic concepts in an easy-to-understand format. Chapters 5 to 8 provide a concise summary of the geochemistry of the earth, resources of the earth, and an introduction to mining and metallurgy as well as the production of key minerals and literature estimates of associated energy requirements. These chapters discuss aspects of the traditional ‘cradle-to-grave’ view of today’s metal production system. The chapters can be skipped by readers already familiar with the basic concepts of mineral geology and metallurgy. The third part of the book from chapter 9 to 13 represents the core of the book. Here the details of exergy accounting and the design of the Crepuscular Earth Model (Thanatia) are described. The chapters are based on numerous scientific publication published by the authors in recent years (e.g., (Valero and Valero 2013; Valero et al. 2011b, 2011a; Valero and Valero 2015; Valero et al. 2015)). Finally, chapters 14 to 17 provide reflections on the challenges of resource depletion and discuss options to slow resource depletion (e.g., via recycling and resource efficiency measures). Thanatia is a ‘timely’ book that contributes new ideas to the debate on how to quantify resource depletion. It is thereby relevant to researchers working in the field of sustainable resource management and resource criticality. It points out some of the “weak-points” of current assessment methods focusing solely on a “cradle-to-grave” system boundary, thereby not accounting for the cost of irreversibly losing substances via means of dissipation and ultimate disposal. The book also communicates interesting ideas on using exergy as an alternative for allocation in LCA (Valero et al. 2015). In my view, some of the data reported on the exergy and exergy replacement cost of several important industrial minerals could, in a next step, be incorporated into preliminary LCIA methods or increasingly combined with results from criticality studies published elsewhere (Graedel et al. 2015; EC 2010, 2014; IW Consult 2011; BGS 2012; Morley and Eatherley 2008). This would also make the material available to a wider audience. However, the book is unfortunately also written dense in repetitions and contains lengthy explanations of the thermodynamic concepts used. This makes it difficult to read at times and does not always help to ‘demystify’ the concept of exergy (a stated goal of the authors). Incorporating more figures to visualize the concepts use and explanations with the existing figures and graphics provided would make the book more accessible and less tedious to read. Overall, this is a valuable collection of papers and supplemental information of the authors over the last years leading to the model of Thanatia. It is a practical, refreshing complement to the growing number of academic papers on the topic of mineral resources that will help to highlight the importance of thermodynamic concepts in natural resource evaluations. BGS. 2012. Risk list 2012: An updated supply risk index for chemical elements or element groups which are of economic value. Nottingham, United Kingdom: British Geological Survey. Crutzen, P.J. 2006. The “Anthropocene.” In Earth System Science in the Anthropocene, ed. by Professor Dr Eckart Ehlers and Dr Thomas Krafft, 13–18. Springer Berlin Heidelberg. http://link.springer.com/chapter/10.1007/3-540-26590-2_3. Accessed August 14, 2015. EC 2010. Critical raw materials for the EU. Report of the Ad-hoc Working Group on defining critical raw materials. Brussels, Belgium: European Commission (EC). http://ec.europa.eu/enterprise/policies/rawmaterials/ documents/index_en.htm. Accessed December 27, 2012. EC 2014. Report on Critical Raw Materials for the EU. Report of the Ad-hoc Working Group on defining critical raw materials. Brussels, Belgium: European Commission (EC). http://ec.europa.eu/enterprise/policies/raw-materials/files/docs/crm-report-on-critical-raw-materials_en.pdf. Accessed June 10, 2014. Gößling-Reisemann, S. 2008. What Is Resource Consumption and How Can It Be Measured? Journal of Industrial Ecology 12(1): 10–25. Graedel, T.E. and L. Erdmann. 2012. Will metal scarcity impede routine industrial use? MRS Bulletin 37(04): 325–331. Graedel, T.E., E.M. Harper, N.T. Nassar, P. Nuss, and B.K. Reck. 2015. Criticality of metals and metalloids. Proceedings of the National Academy of Sciences 112(14): 4257–4262. Greenfield, A. and T.E. Graedel. 2013. The omnivorous diet of modern technology. Resources, Conservation and Recycling 74: 1–7. IW Consult. 2011. Rohstoffsituation Bayern – keine Zukunft ohne Rohstoffe: Strategien und Handlungsoptionen (Raw materials situtation in Bavaria – no future without raw materials: strategies and opportunities of action). IW Consult GmbH Köln. http://www.rohstoffstrategie-bayern.de/fileadmin/user_upload/rohstoffstrategie/dokumente/vbw_Studie_Rohstoffe_Bayern_web.pdf. Accessed September 17, 2013. Klinglmair, M., S. Sala, and M. Brandão. 2013. Assessing resource depletion in LCA: a review of methods and methodological issues. The International Journal of Life Cycle Assessment: 1–13. Mancini, L., C. De Camillis, and D. Pennington. 2013. Security of supply and scarcity of raw materials. Luxembourg: Publications Office of the European Union. http://bookshop.europa.eu/en/security-of-supply-and-scarcity-of-raw-materials-pbLBNA26086/. Morley, N. and D. Eatherley. 2008. Material Security: Ensuring resource availability for the UK economy. Chester, UK: Oakdene Hollins, Ltd. http://www.oakdenehollins.co.uk/pdf/material_security.pdf. Accessed September 17, 2013. Szargut, J. 1989. Chemical exergies of the elements. Applied Energy 32(4): 269–286. Vadenbo, C., J. Rørbech, M. Haupt, and R. Frischknecht. 2014. Abiotic resources: new impact assessment approaches in view of resource efficiency and resource criticality—55th Discussion Forum on Life Cycle Assessment, Zurich, Switzerland, April 11, 2014. The International Journal of Life Cycle Assessment 19(10): 1686–1692. Valero, A., A. Agudelo, and A. Valero. 2011a. The crepuscular planet. A model for the exhausted atmosphere and hydrosphere. Energy 36(6). ECOS 2009: 3745–3753. Valero, A., A. Domínguez, and A. Valero. 2015. Exergy cost allocation of by-products in the mining and metallurgical industry. Resources, Conservation and Recycling 102: 128–142. Valero, A. and A. Valero. 2013. From Grave to Cradle. Journal of Industrial Ecology 17(1): 43–52. Valero, A. and A. Valero. 2015. Thermodynamic Rarity and the Loss of Mineral Wealth. Energies 8(2): 821–836. Valero, A., A. Valero, and J.B. Gómez. 2011b. The crepuscular planet. A model for the exhausted continental crust. Energy 36(1): 694–707. This entry was posted in Reviews on 24. July 2016 by philipnuss. Metals are used in numerous products and are sourced via increasingly global and complex supply chains. Monetary input–output tables (MIOT) and network analysis can be applied to intersectoral supply chains and used to analyze structural aspects. We first provide a concise review of the literature related to network analysis applied to MIOTs. On the basis of a physical input–output table (PIOT) table of aluminum in the United States economy in 2007, we identify key sectors and discuss the overall topology of the aluminum network using tools of network analysis. Sectors highly dependent on metal product inputs or sales are identified using weighted degree centrality and their hierarchical organization is explored via clustering. Betweenness centrality and random walk centrality (page rank) are explored as means to identify network bottlenecks and relative sector importance. Aluminum, even though dominated by uses in the automobile, beverage and containers, and construction industries, finds application in a wide range of sectors. Motor vehicle parts manufacturing relies on a large number of upstream and downstream suppliers to function. We conclude by analyzing structural aspects of a subnetwork for automobile manufacturing and discuss how the use of network analysis relates to current criticality analyses of metal and mineral resources. 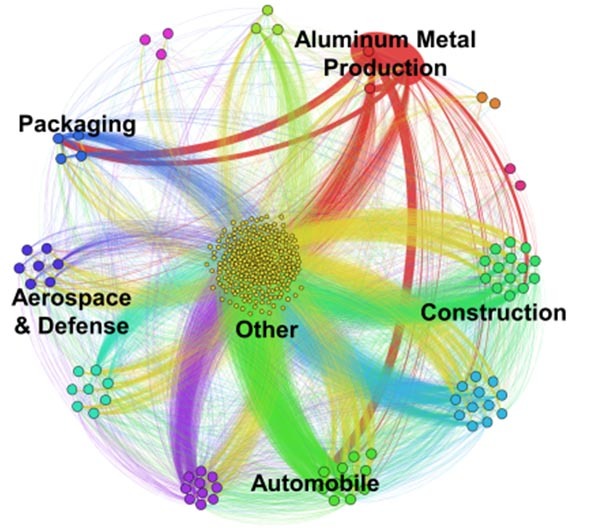 Industry clusters and the physical flow of aluminum metal between each of the clusters in the 2007 US economy. The full publication can be accessed at Environmental Science & Technology. The paper is published with two companion papers (see below) that describe how metal networks can be generated. Ohno, H., Nuss P., Chen W.-Q., and Graedel T.E. (2016): Deriving the Metal and Alloy Networks of Modern Technology. Environ. Sci. Technol. DOI: 10.1021/acs.est.5b05093. This entry was posted in Papers on 15. March 2016 by philipnuss. 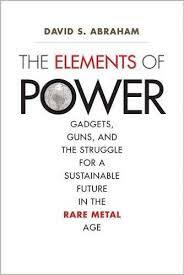 The book “The Elements of Power” by David S. Abraham discusses our increasing dependence on many of the rare (minor) metals used in modern technology. In eleven chapters, the author discusses the importance of (rare) metals to modern technology (e.g., energy, communication, infrastructure, and defense), historical developments that led to increasing metals use, environmental issues of metals production (mining, refining, and smelting), and expected future trends in metal demand (e.g., increasing use of renewable energy technologies and associated metal requirements). The author describes in several short stories and anecdotes the crucial role of the minor metals in today’s technologies and argues that their complex production chains, finite supplies, and geological distribution, have the potential to result in supply disruptions and geopolitical conflicts in the near future. Abraham concludes that, unless we better understand the metals basis of modern society, shifting to renewable energy systems, hybrid cars, and smart grids, is likely to lead to burden shifting and unintended (environmental) consequences. The discussions bring up a number of important aspects of today’s metal production system, namely (1) the issue of companion metal production which can lead to imbalances in supply and demand, (2) the problem of low recycling rates for many of the metals (in this context Abraham correctly cautions that we will not be able to “recycle” ourselves out of the problem of a finite metals supply), (3) increasing supply chain complexities and trade relationships which make companies (and countries) more vulnerable to supply restrictions, (4) environmental implications of metals production, and (5) market dominance for several minor metals (e.g., niobium, rare earth metals, platinum grade metals) by only a few companies or countries worldwide. The author calls for more metals research and better education in materials science and metallurgy to address these problems. The book is written for a popular audience and Abraham is able to discuss a multitude of complex topics of today’s metal production system in an engaging and interesting manner. Describing his own experiences and encounters with actors of the metals world, e.g. talking with metals traders, miners, product developers, and traveling to mines and production sites around the globe, helps to keep the topics fluid and interesting. The book represents, in my view, an important attempt to communicate the issues of metals resources to a wider popular audience, thereby increasing people’s awareness of resource issues and the use of metals in modern technologies we all depend on. I am not aware of similar popular science books on the topic of metal resources and criticality. The UNEP Resource Panel has picked up the topic of metals in various reports that have been published since 2011. These are semi-scientific reports that discuss topics such as (1) metals stocks in society, (2) recycling rates of metals, (3) environmental impact of metals, (4) geological metal stocks, (5) future demand for metals, and (6) critical metals and metal policy options. Resource issues are discussed in the context of other research efforts, e.g., on decoupling economic growth from resource use, or biotic resources (biomass). These reports can be found at http://www.unep.org/resourcepanel/Publications/tabid/54044/Default.aspx. Furthermore, the ‘Critical Materials Handbook’ by Gus Gunn was recently published by Wiley in an attempt to summarize some of the information on elements deemed important (in terms of their supply risk, environmental implications, and vulnerability to supply restriction by so called “criticality assessments” (http://www.wiley.com/WileyCDA/WileyTitle/productCd-0470671718.html). However, the book by Gus Gunn is more geared toward a scientific audience interested in learning more about a specific element or metal group. Therefore, I don’t think there are any competing books in the public realm at the moment. I feel that the manuscript will act as an important communication tool between the world of “metals researchers” and the general public. It is written on a timely and very important topic and has the potential to increase public awareness, knowledge, and interest in the wider topic of ‘abiotic resources’ and interconnected metals supply chains. This entry was posted in Reviews on 20. November 2015 by philipnuss. Nuss, P. 2015. Book Review: Life Cycle Assessment Handbook: A Guide for Environmentally Sustainable Products, edited by Mary Ann Curran. Hoboken, NJ, USA: PB – John Wiley & Sons, Inc., and Salem, MA, USA: Scrivener Publishing LLC , 2012, 611 pp., ISBN 9781118099728, $199.00 (paper), $159.99 (e-book). Journal of Industrial Ecology 19(1): 167–168. This book by Mary Ann Curran constitutes an ambitious attempt to present the current “state-of-the-practice” in life cycle assessment (LCA). LCA started out as an approach to assess the environmental implications of products, and has to date evolved into a standardized method for systematically evaluating the potential environmental impacts of products, services, and technologies. 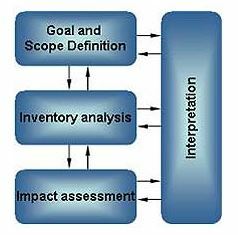 Moreover, recent efforts have focused on expanding the LCA methodology also to capture indirect effects through the use of economic techniques and models (consequential LCA), and attempt to broaden the traditional LCA framework to integrate environmental, social, and economic aspects into the analysis, also referred to as life cycle sustainability assessment (LCSA). The reader will be impressed by the breadth of topics covered in this book, opening with an introductory chapter on “hot topics” such as, e.g., links of the LCA framework to environmental policy making, or the feasibility of LCA to address questions not only at micro (product) level but also at macro scale. This sets the stage for the subsequent chapters that can be divided into four sections: LCA Methodology and Current State of LCA Practice (Part I), LCA Applications (Part II), LCA in the Context of Decision Making and Sustainability (Part III), and Operationalizing LCA (Part IV). Curran has integrated a series of contributions by leading experts from academia, industry, and LCA consultants into the book. This created some repetition and left some topics unexplained, but the overall message and flow of content was clear and coherent. In particular, I enjoyed the diverse contributions from authors discussing the LCA framework from different professional perspectives. This resulted in an interesting mix of chapters, some of which deal with latest advancements in LCA methodology (e.g., integration of ecosystems goods and services, social LCA, LCSA, LCA and multi-criteria-decision analysis (MCDA)), while other chapters discuss practical applications (e.g., comparison of LCA software tools, LCA in product innovation, the use of LCA in sustainable supply chain management). Chapters 2 to 6 deal with the four stages of an LCA (goal & scope, inventory analysis, impact assessment, and interpretation), briefly discuss the history of LCA, and provide an outlook to potential future developments. These chapters provide a concise overview of the latest impact assessment methods (Chapter 4) and inventory databases (except for example, ecoinvent 3 or the Social HotSpots Database – both were released after publication of this book) (Chapter 5), as well as software tools and smart data management techniques (Chapter 6). It should be noted, however, that these chapters are not a “how to” guide with instructions for carrying out an LCA. They instead provide a brief overview of a specific topic (e.g., life cycle impact assessment), and then elaborate on methodological challenges and open questions, and provide an overview of currently available models, data sources, and developments. For readers new to the LCA methodology, I would therefore recommend also to consult one of the many LCA texts available elsewhere (see for example, (Guinée 2002; U.S. EPA 2006; EC JRC 2010; Baumann and Tillman 2004)). Through a range of case studies, chapters 7 to 17 then continue to explore how typical methodological issues have been treated in various applications of LCA. These chapters provide the reader with case studies, for example, on modeling the agri-food industry in LCA and related challenges in data collection (chapter 7). Exergetic LCA (Ex-LCA) and its application to an advanced hydrogen process driven by nuclear energy is presented by Rosen, Dincer, and Ozbilen in chapter 8, who highlight differences of Ex-LCA in comparison to traditional LCA impact categories. Following this, Landers, Urban, and Bakshi discuss the integration of ecosystem goods and services, such as fresh water, soil, carbon and nitrogen cycles, and pollination, essential to all human activities, into ecologically based LCA (eco-LCA, chaper 8). Different ecosystem services are compared using exergy and emergy estimates and the authors emphasize the need for including natural capital in the analysis to avoid burden shifting. Other chapters deal, for example, with the application of LCA to waste management (chapter 11), buildings (chapter 14), and green chemistry and engineering (chapter 17). Each chapter is self-contained so readers can skip to topics of greatest interest to them. Chapters 18 to 22 discuss how LCA supports decision making and sustainability. The chapter by Potting et al (chapter 18) compares four methods that allow assessment of human health and environmental impacts, namely technology assessment, environmental impact assessment, risk assessment, and LCA. The authors give a brief, yet interesting, overview of their overlaps, differences, and complementary approaches. The use of MCDA to help structure normalization and weighting during the impacts assessment stage of an LCA is introduced by Prado, Rogers, and Seager (chapter 19). This chapter provides a critical discussion of using external normalization and weighting factors in comparative LCAs that may be part of a pre-designed impact assessment method. The next two chapters build nicely on each other by first introducing how social aspects may be integrated into the LCA framework under the umbrella of social LCA (Benoit, chapter 20), and then by discussing the concept of LCSA (Zamagni et al, chapter 21), which aims at broadening the scope of indicators (environmental, social, and economic) and proposes to shift from individual product systems to larger units of measurement (e.g., whole product baskets, economic sectors, or whole economies). Although life cycle cost (LCC) analysis and consequential LCA are mentioned several time in this section of the book (as well as in chapter 1), I felt that a deeper discussion of these topics was missing and would have provided valuable information to allow the reader to better follow the overall discussion. A comprehensive review of consequential LCA is given, e.g., in (Earles and Halog 2011) and LCC is discussed in (Hunkeler and colleagues 2008). Chapter 22 by Stevenson and Ingwersen provides a review of environmental product claims in LCA according to the ISO 14020 series and includes an appendix that summarizes, amongst others, activities in the development of product category rules (PCRs) and environmental product declarations (EPDs). Finally, chapters 23 to 25 conclude by looking at the role that life cycle information, in the hands of governments, industry, and consumers, can have in recognizing environmental performance and avoid shifting of environmental burdens. In this context, chapter 23 by Ramjeawon looks at capacity building for LCA in developing countries, and chapter 25 by Fava discusses real case studies involving use of (or failure to use) life cycle information to elucidate burden shifting. The latter chapter could make a perfect introduction to a class on LCA or life cycle thinking with the aim to capture people’s attention and interest to the field. Overall, this book provides a comprehensive review of the latest advances in the LCA methodology and incorporates perspectives from academics, industry representatives, and LCA practitioners and consultants. I can warmly recommend it for readers with some prior exposure to the LCA methodology. Baumann, H. and A.-M. Tillman. 2004. The hitch hiker’s guide to LCA: an orientation in life cycle assessment methodology and application. Lund, Sweden: Studentlitteratur. Earles, J.M. and A. Halog. 2011. Consequential life cycle assessment: a review. The International Journal of Life Cycle Assessment 16: 445–453. http://www.springerlink.com/content/9325304g17315042/. Accessed November 15, 2011. EC JRC. 2010. General guide for Life Cycle Assessment. Ispra, Italy: European Commission, Joint Research Centre. http://bookshop.europa.eu/en/general-guide-for-life-cycle-assessment-pbLBNA24378/?CatalogCategoryID=r2AKABstX7kAAAEjppEY4e5L\. Accessed March 16, 2014. Guinée, J.B. 2002. Handbook on life cycle assessment: operational guide to the ISO standards. Dordrecht; Boston: Kluwer Academic Publishers. Hunkeler, D., K. Lichtenvort, and G. Rebitzer. 2008. Environmental Life Cycle Costing. CRC Press, May 29. U.S. EPA. 2006. Life Cycle Assessment: Principles and Practice. Cincinnati, OH: National Risk Management Research Laboratory, Office of Research and Development, United States Environmental Protection Agency (EPA). http://www.epa.gov/nrmrl/std/lca/lca.html. Accessed March 16, 2014. This entry was posted in Reviews on 1. November 2015 by philipnuss. Compared on a per kilogram basis, mining and refining some of the exotic metals used in modern technology inflict a lot of damage on the environment. Compared on the basis of their global annual production, the cradle-to-gate impact of metals is still dominated by the old-school elements iron and aluminum. That’s one of the bottom lines from a comprehensive environmental analysis of 63 metals, published in PLOS ONE. A unique aspect of the study is that it teases apart the environmental impact of each element, even though many are mined or processed in combinations. The detailed analysis could help engineers design products that substitute more benign metals. Cradle-to-gate greenhouse gas emissions per kg of metal and metalloid around 2008. The full publication can be accessed for free at PLOS ONE or at the author page. This entry was posted in Papers on 30. October 2015 by philipnuss. A study of iron and some of its major alloying elements (i.e., vanadium,chromium, manganese, and niobium), published in March 2014 in Environmental Science & Technology, investigates the criticality of these elements. Because of its widespread geological occurrence, iron was found at low supply risk. Chromium and manganese, both essential in steel making, display high vulnerability to supply restriction, largely because substitution or substitution at equal performance is not possible for all end-uses. The overall criticality is low for iron and modest for all alloying elements investigated. Iron group criticality at the global level around 2008. The publication is available at Environmental Science & Technology and the accepted version available free of charge here. Catalysis is an enabling technology that can help promote significant energy savings in the chemical industry and provide products of crucial importance for sustainable development in the future. However, several studies within the area of green chemistry and sustainable catalysis promote new techniques and products as “sustainable” or “more environmentally benign” without taking a life cycle–wide perspective and quantifying their benefits and tradeoffs. 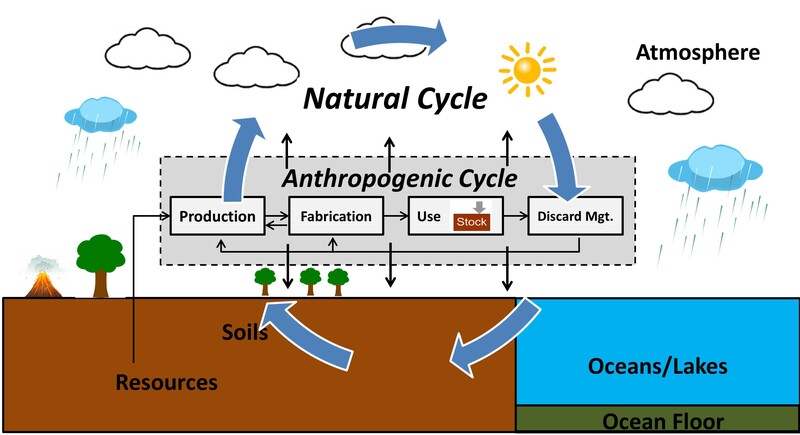 Life cycle approaches such as life-cycle assessment or material flow analysis can be used (oftentimes even during process development) to quantify environmental impacts and resource flows, and thereby help to elucidate improvement options and avoid shifting of (environmental) burdens to other parts of the life cycle. Resource criticality assessments can provide additional information with regard to possible resource constraints. This book chapter first introduces a number of system analysis tools used to quantify material stocks and flows and associated environmental effects along a product’s life cycle. Our focus is on environmental impacts, but a few references regarding social and economic approaches in the system analysis toolbox are also provided. We then continue to discuss the use of these tools in the context of sustainable (green) chemistry and catalysis. The chapter concludes with a case study applying life-cycle assessment to bioacrylics. This entry was posted in Papers on 10. August 2015 by philipnuss.